Help With Addiction - FREE eBook! Are you looking for help with addiction treatment and recovery? Are you overwhelmed by the issues and consequences of living with an active addict? This site focuses on gambling addiction, and topics relating to helping people affected by loved ones in their lives who are problem gamblers. The various topics are explored in detail, and visitors are encouraged to share your stories in the Gambling Addiction Help section. However, sometimes it's nice to have a nice concise executive summary to help us focus in on a plan of action. I'm fortunate to have the support of Dr. Mitchell Wallick, Executive Director of the C.A.R.E. addiction treatment center in Florida. Dr. Mitch (as people call him) has written a guide to addiction treatment that he has provided to Help-With-Gambling-Addiction.com as a FREE resource to help friends and family affected by problems of addiction. While it's not an instructional manual, it is a great resource for answering common questions about addiction, and addiction treatment. While it includes gambling addiction, it also discusses everything from alcohol and drug addiction, to Internet addiction and eating disorders. 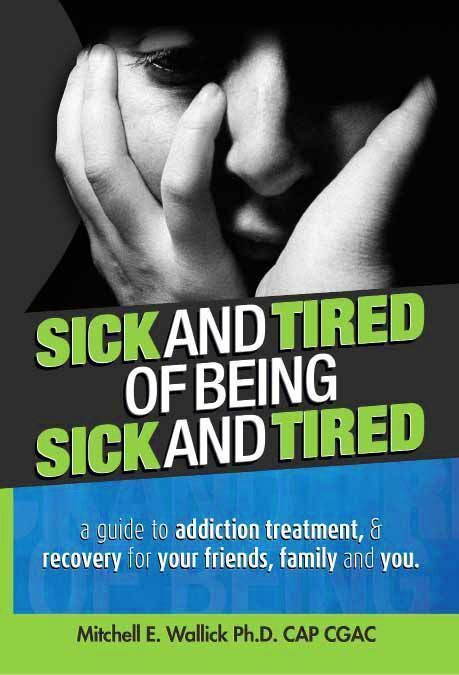 Visitors to this site can get a copy of this guide, entitled "Sick and Tired of Being Sick and Tired - A guide to addiction treatment & recovery for your friends family and you", by signing up for the Gambling Addiction Help Online FREE newsletter. What symptoms indicate that someone has an addictive illness? How do you approach the problem? How does the actual intervention play out? How will family be involved? Will this treatment help with my legal problems? Please note that Help-With-Gambling-Addiction.com is not affiliated with Dr. Mitch or the C.A.R.E. treatment center, other than holding Dr. Mitch in high regards for the work he's done in helping people and families struggling with addictions. This help with addiction guide is just that; it's a guide to answer common questions and to get you thinking about options you have for working through your personal situation. In other words, it is NOT meant to be an endorsement for a given treatment facility. Rather, the fundamental principles within the guide are relevant across addictions, and transcend any one treatment facility. As I get information from other professionals in the field, I will offer access to those resources as well. Sign up for the FREE Gambling Addiction Help Online Newsletter now!